June 4, 2011 – by Robin Cembalest. By the time I got to Brooklyn, the Art School Without Walls had been in session only two hours. 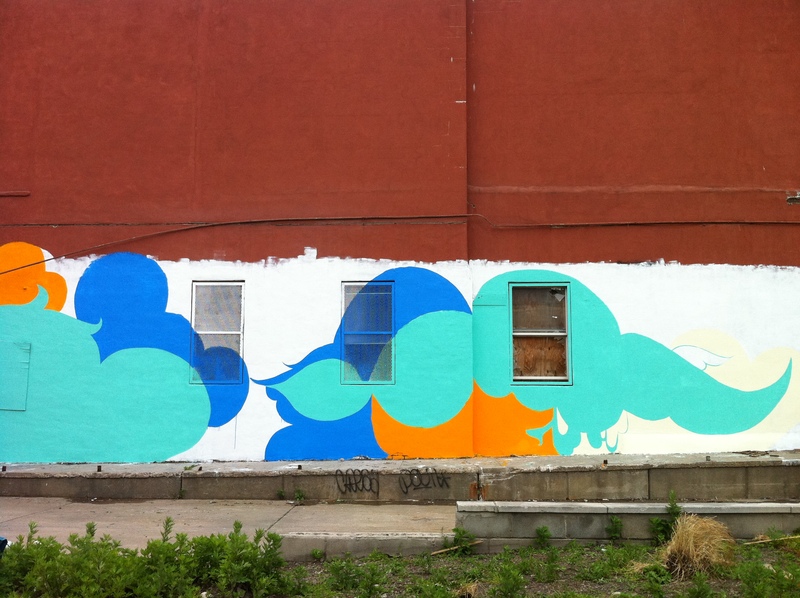 But the eight young painters who had assembled on this lot near the Gowanus Canal were already moving as a team, efficiently taking their cues from Sofia Maldonado, the master muralist. 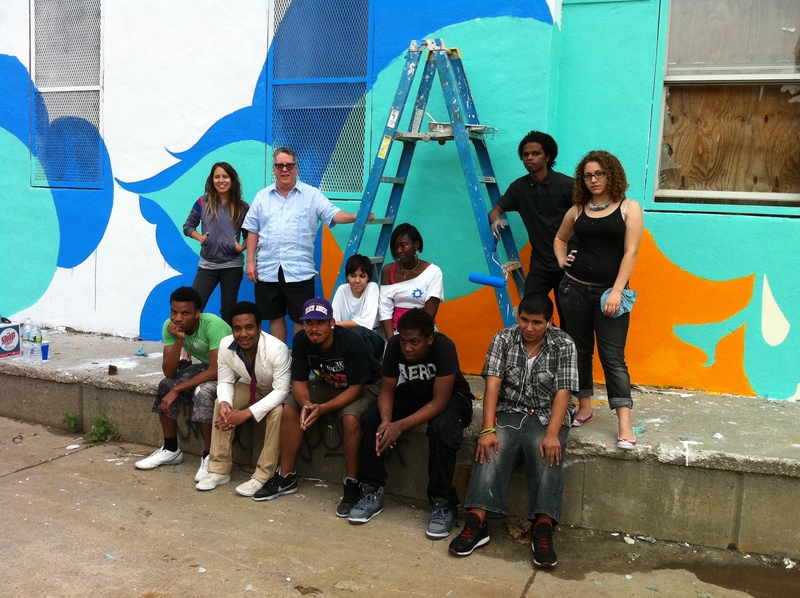 Some of the kids, who are students or recent graduates of Brooklyn high schools, are longtime members of the Galeristas Adolescentes, who worked together last summer on a rooftop painting on Atlantic Avenue.